It was Aristotle who once said that “the whole is greater than the sum of its parts”. The wily old philosopher had a point and contemplating it the other day made me think of the first time I ever went to see an orchestra play. I remember the musicians warming up, tuning their instruments and playing notes that rubbed aggressively against the notes from the other instruments. I then remember the silence that hung over the theatre as the conductor raised his baton. What happened next was a revelation for me. The discord was gone and together the musicians had grown to be greater than the sum of their parts. 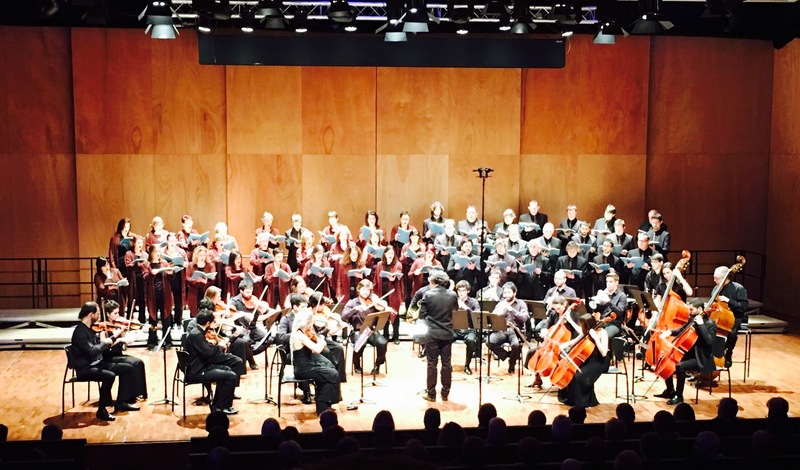 This Sunday, the Polifònica de Vilafranca will sing Mozart’s Mass in C Major with the Orquestra de Cambra del Penedès and I am very happy to say that – as part of the choir – I am now part of the greater whole of which Aristotle spoke. Alone, we are but voices, but together, like a tapestry woven by hundreds of individual threads, we are richer and better. That we are singing Mozart is the icing on the cake – opportunities to perform these pieces do not come along very often and even for a novice like me, his genius is all too apparent. The concert is at 19h on the 15th of January. Va ser Aristòtil qui va dir una vegada que “el tot és més que la suma de les seves parts”. El vell i astut filòsof tenia raó i, l’altre dia, mentre hi reflexionava, vaig pensar en la primera vegada que vaig anar a veure una obra amb orquestra. Recordo els músics escalfant, afinant els instruments i tocant unes notes que fregaven agressivament contra les notes dels altres instruments. També vaig recordar el silenci que pesava sobre el teatre quan el director va aixecar la batuta. El que va passar després va ser una revelació per a mi. La discordança havia desaparegut i els músics, alhora, havien crescut fins a ser més grans que la suma de les parts. Aquest diumenge, la Polifònica de Vilafranca cantarà la Missa en Do Major de Mozart amb l’Orquestra de Cambra del Penedès i estic molt content de dir que, com a part del cor, ara sóc part d’aquell tot del qual parlava Aristòtil. Sols no som res més que veus, però junts, com un tapís teixit per centenars de fils individuals, som més rics i millors. El fet que cantem Mozart és la cirereta del pastís, ja que oportunitats per interpretar peces com aquesta no apareixen gaire sovint i, fins i tot per a un principiant com jo, la seva genialitat és molt evident. El concert és a les 19 hores el dia 15 de gener.